The Thunder Creek Silver Shiner in one of the Thunder Creek series of flies created by Keith Fulsher of Eastchester New York. 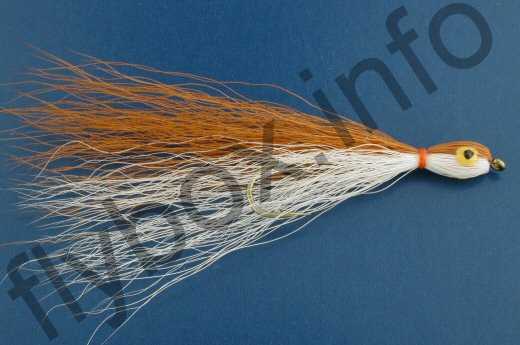 This bucktail series of fly lures, in all their various dressings, cover a wide range of fry. Head : Tied down bucktail. Eye : Yellow with black pupil. Currently there are no comments about the Thunder Creek Silver Shiner fly pattern from other fly fishermen yet.